If you are pressed for time, or if such a “trial” period isn’t convenient for you, then perhaps it would be more interesting for you to follow our recommendations. Actually, they are more descriptions that we are going to provide you with, so that you will know immediately whether it’s a type that “grabs” you. Once that happens, then go for it and try out that type of machine! If you want to experience the emotions felt by players at the start of the last century, then it’s without a doubt this type of machine that you should head for. It’s a basic machine with 3 reels, just like the Liberty Bell, for example; the first slot worthy of its name, which will permit you to amass winnings depending on combinations formed by the symbols on the unique pay line, quite often right across the center. The animations are rudimentary. Here, what you have come to look for is a slot in its pure state. 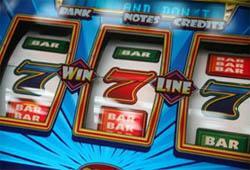 These machines, moreover, can be a good first step in familiarizing you with slot machines and their functioning. Multi-line machines are, in essence, largely more evolved than their traditional cousins. In the first place, you will have the pleasure of seeing more reels, generally 5 instead of 3. This obviously has the effect of multiplying the combinations. It is also for this reason, in order for the game to become even more exciting, that you are going to have several pay lines, whence, incidentally, the term “multi-line”. With these machines, you also have to know that you are entering a scenario, a story. The machine is theme-based. Thus, you have slots with car racing geared to males, for example, and other, more feminine machines like those with princess themes. You will quite obviously find conventional pay lines, but your game will be enlivened with bonuses, mini-games, and special symbols, which here will play a genuine role in the player’s interaction with his machine. When you attack slot machines improved with 3D technology, it is rare thereafter to return to other types of machines. In fact, the system is the same as that for multi-line machines, but here the video animations are in 3D and so tend to involve you more in the game. Mini-game bonuses and special characters will serve to punctuate your game, which users will not be displeased with. You also have slots that are called “progressive jackpot” machines. These machines work in a special way, and so we have decided to devote an entire article to them. You will, then, find all the information that interests you on our website. Home > The basics about slot machines > Slot machines: To each their own style!